We’d love your help. 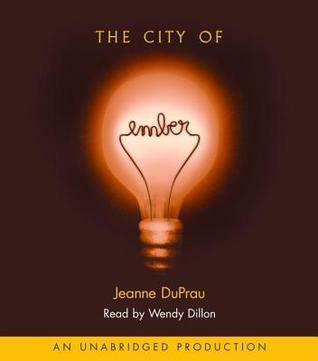 Let us know what’s wrong with this preview of The City of Ember by Jeanne DuPrau. But when two children, Lina and Doon, discover frag Many hundreds of years ago, the city of Ember was created by the Builders to contain everything needed for human survival. It worked…but now the storerooms are almost out of food, crops are blighted, corruption is spreading through the city and worst of all—the lights are failing. Soon Ember could be engulfed by darkness…. To ask other readers questions about The City of Ember, please sign up. How old are Lina and Doon? Elita 12 years old in the book, but in the movie Dune is much older than 12. Maybe 18 months ago, I came out of my office to find my 5 year old son laying in the hallway reading a book. He wasn't just flipping through a picture book, either. He was actually reading it. A book with all words and no pictures. This was that book. He'd read it with his mom a over a month's worth of bedtimes. Then, of his own volition while walking through the hallway, he'd pulled it off the shelf, sat down, and started to read it again. That's a recommendation beyond anything I can give it. * * Maybe 18 months ago, I came out of my office to find my 5 year old son laying in the hallway reading a book. About a week ago, I went on a car trip with Oot, and we listened to this book together. I see why he liked it. It's very tightly written. Good setting. Good mystery. Two POV characters, one boy and one girl. They each have their own plots, and their own character arcs. Their own problems they struggle to resolve. The boy gets angry sometimes, and his father talks to him about it, and the boy tries throughout the book to get a grip on his anger with varying success. What's more, they both make mistakes. And they're *obviously* mistakes. If only the boy would have told his father about X, things would have gone better. It's kinda the opposite of Harry Potter. It's nice to have that in a kid's book. mario and sonic fans wait Isabella,THERE'S A MOVIE?!?!?!?WOW. Isabella Yup, still haven't gotten a chance to watch it. But I'm very much looking forward to it. The City of Ember is a young adult novel that is a fantastic allegory for spiritual awakening, though I have no idea if it was intended as such. The story is of a girl who lives in an underground and completely self-contained city created by the “Builders.” The population of the city knows of nothing outside the city, in fact, though they speak English many of the words in it like “sky” are not understood in any terms but metaphorically. The problem is that the city is falling apart, the lights The City of Ember is a young adult novel that is a fantastic allegory for spiritual awakening, though I have no idea if it was intended as such. The story is of a girl who lives in an underground and completely self-contained city created by the “Builders.” The population of the city knows of nothing outside the city, in fact, though they speak English many of the words in it like “sky” are not understood in any terms but metaphorically. The problem is that the city is falling apart, the lights are going out, the vast stores of supplies of light bulbs, canned food, and vitamins are running out. The reader is in on a worse calamity, namely, that a secret message in a timed lock box that was left by the Builders, which was meant to be handed down from mayor to mayor and that would open just in time to explain to the city dwellers how to get out of the city, was lost many generations back. Well, being a young adult novel it’s pretty predictable in that the box is in our hero’s closet, but a nice turn of events it is found by our hero’s baby sister who chews on it for a while before our hero gets her hands on it leaving the message is only partially legible. So the bulk of the story is the deciphering of the message, followed by the experience of trying to communicate its contents to the adults, who of course don’t accept the message (where else is there but here?) which is the equivalent of all prophets experiences of rejection by the status-quo. And finally, there is the adventure of eventual escape. Σε αυτό το βιβλίο γραμμένο με ξεχωριστή δεξιοτεχνία ξετυλίγεται το κουβάρι της ανθρώπινης εξέλιξης σε συνθήκες εξαιρετικά δύσκολες για την ύπαρξη και την συνέχιση του ανθρώπινου είδους. αλλά και εξαιρετική μαχητική διάθεση απέναντι στους διεφθαρμένο Σε αυτό το βιβλίο γραμμένο με ξεχωριστή δεξιοτεχνία ξετυλίγεται το κουβάρι της ανθρώπινης εξέλιξης σε συνθήκες εξαιρετικά δύσκολες για την ύπαρξη και την συνέχιση του ανθρώπινου είδους. αλλά και εξαιρετική μαχητική διάθεση απέναντι στους διεφθαρμένους ισχυρούς ανθρώπους που κρύβουν την αλήθεια οικειοποιούνται δημόσια αγαθά και προσπαθούν κοντολογίς να προστατέψουν μόνο τα τομάρια τους αδιαφορώντας για το κοινό καλό και το μέλλον. Οι μικροί πρωταγωνιστές δίνουν πραγματικά μαθήματα αγάπης συμπόνιας ανθρωπιάς και αλληλεγγύης μπαίνοντας σε μια άνιση μάχη ανάμεσα στους ίδιους και την εγκληματική αμέλεια και διαφθορά των αρχών της υπόγειας πολιτείας. Μια πολιτεία που κάποτε ευημερούσε και ίσως κατάφερε πετύχει το σκοπό για τον οποίο δημιουργήθηκε, να σώσει το ανθρώπινο είδος. Όμως τώρα έχει αρχίσει η αντίστροφη μέτρηση και πρέπει οι κάτοικοι στα έγκατα της γης να ξεκινήσουν ταξίδι προς το φως της γης και της ζωής. Τι υπάρχει στην επιφάνεια της γης όπου θα πρέπει να γίνει το νέο σπιτι των προσφύγων από τα βαθιά και σκοτεινά έγκατα δεν το ξέρουμε τελειώνοντας το πρώτο μέρος. Στο δεύτερο μέρος Πέρα από το σκοτάδι θα ταξιδέψουμε παρέα με τους ήρωες μας για να ανακαλύψουμε και να παραδειγματιστούμε από τη δύναμη και το κουράγιο τους. Εύχομαι να πετύχουν το καλύτερο και να λυτρώσουν όλους τους συμπολίτες τους που αγνοούν ακόμη και την ύπαρξη του ηλίου. DuPrau makes a typical first-time novelist mistake throughout this book: she doesn’t trust her reader to infer. In other words, she often over-explains, following up dialogue and action sequences with redundant descriptions of a character’s take on what just happened. Another disappointment is that the mystery of Ember unfolds in an entirely predictable manner. There are no great surprises. DuPrau's characterization of Doon is one dimensional. His spurts of rage create the only complexity in an DuPrau makes a typical first-time novelist mistake throughout this book: she doesn’t trust her reader to infer. In other words, she often over-explains, following up dialogue and action sequences with redundant descriptions of a character’s take on what just happened. Another disappointment is that the mystery of Ember unfolds in an entirely predictable manner. There are no great surprises. DuPrau's characterization of Doon is one dimensional. His spurts of rage create the only complexity in an otherwise flat character. Lina, on the other hand, rings true as a 12-year old throughout the book, with one exception: when her grandmother dies, Lina’s grieving process is so brief it feels like the author has ignored something very important. The book’s strongest element was the setting, Ember. Throughout reading the book, I could see the dark, amber lights and the anxious people throughout the city. I hope DuPrau will learn from some of her mistakes and produce a stronger sequel—Ember is rich with possibilities for a greater story. This books makes you appreciate even the smallest of things that you may take for granted. I look forward to seeing how the movie compares with the book! Before The Hunger Games (2008) there was The City of Ember (2003). Well, that’s not exactly true because, to be completely honest about it, before HG there were the Japanese novel (1999) and then movie (2000) Battle Royale from which only the blind would say that HG isn’t based upon or at least heavily inspired by. Which, don’t get me wrong, is totally fine; inspiration comes in every shape and form, and if a great book/movie inspired HG author Suzanne Collins to write a great series, then more p Before The Hunger Games (2008) there was The City of Ember (2003). Back to CE, the reason why I compare it to HG is because when it came out it was to my knowledge the first post-apocalyptic YA to ever hit the market. In that, DuPrau can only be praised for her originality and avant-gardism. But there the comparison ends. Because if you’re looking for poor kids fighting for survival in a beat-up world, look somewhere else. CE is not about that. At all. 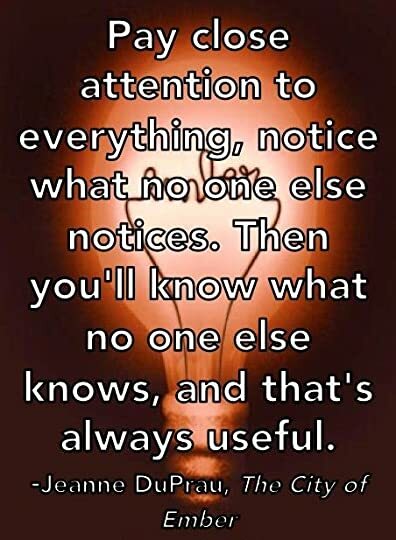 Rather, it is more about discovery (both self- and world-), about not taking the truth that’s given to us unquestioningly and instead go and look for another one despite all the obstacles along the way. So again, if you're looking for point-blank survival, full-frontal fights and gruesome deaths, you're not going to get it in this book. In this sense it is a very clean and very-young-reader oriented story, which, however, doesn’t fail to catch the fancy of older readers as well, and thus transcends all age groups. The two main characters, Lina and Doon, are very real, very relatable and very likable; the story is very satisfactory, if somewhat a little slow-paced at times; the writing is very easy-reading and will never make you scratch your head in confusion; finally, the ending is great and will make you want to pick up book 2 right away. Long story short, it’s a winner to me! Recommends it for: Anyone who love <u>The Giver</u>. My 12 year old son just knew I would love this book. He's been hounding me to read it since... early last spring. Finally, I have read it and Jacob (my son) was right. Omigosh. What first hooked me were the vivid character descriptions that show more than tell, so the reader can draw their own conclusions. The story is told in third person, limited in two different perspectives. Lina Mayfleet, twelve years old, sat "winding a strand of her long, dark hair around her finger, winding and unwinding My 12 year old son just knew I would love this book. He's been hounding me to read it since... early last spring. Finally, I have read it and Jacob (my son) was right. Omigosh. What first hooked me were the vivid character descriptions that show more than tell, so the reader can draw their own conclusions. The story is told in third person, limited in two different perspectives. Lina Mayfleet, twelve years old, sat "winding a strand of her long, dark hair around her finger, winding and unwinding it again and again." Doon Harrow, also twelve, "sat with his shoulder's hunched, his eyes aqueezed shut in concentration, and his hands clasped tightly together." "The City of Ember" is all about these two regular kids saving their city. Doon and Lina had never thought of being twelve years old and getting jobs. Lina orriginaly got chosen to work in the sewers as a pipework's laborer,but Doon knew being a messenger wouldn't do anything to help save the city, so he traded with Lina. Luckily, Lina just so happened to be a super fast runner and that's why she thought messenger would be a perfect job for her. Doon wasn't the kind of boy who loved sports and computer games, he would rather be a quiet gentleman who paid attention to his bug collection all day long, spending more time at the library than on the couch, so it wasn't normal for Doon to scream to others,"The city of Ember is not prospering,in fact everything is getting worse and worse by the minute! The lights go out all the time now and the shortages, the shortages are getting low on everything! If no one does anything about it, something terrible is going to happen!" When Doon and Lina unite together to solve the mysteries of their city, they discover the truths of the past and the present. Some people aren't as trustworthy as they seem to be. When Doon and Lina figure out the last piece of the puzzle, they're stuck. How should the City of Ember know about the great discovery they had made? I would reccomend this book to anyone. I didn't realize what the biggest problem with this book was until I had finished it - which, thankfully, only took about an hour from start to finish. The biggest problem is that the entire city, society, economy, and all, feels like it was only created to give the main characters something to do with their time. It seems impossible to me that a city could exist for 200+ years with no innovations, no improvements, no advancements, nothing. They're all dependent on a dwindling stock of canned goo I didn't realize what the biggest problem with this book was until I had finished it - which, thankfully, only took about an hour from start to finish. The biggest problem is that the entire city, society, economy, and all, feels like it was only created to give the main characters something to do with their time. It seems impossible to me that a city could exist for 200+ years with no innovations, no improvements, no advancements, nothing. They're all dependent on a dwindling stock of canned goods and panicking about the periodic short-term blackouts (the longest mentioned in the book is 7 minutes) even though the blackouts have been part of life for everyone there as long as they can remember. Even beyond that, it explicitly states that no one in that 200+ years has managed to create *any kind* of portable light. Think about that. Not only are there no flashlights, there are no lanterns. There are no candles. There are no oil lamps. A couple of people manage to catch a stick on fire and wander into the darkness outside the city with it, only to go mad when the stick inevitably burns out - and NO ONE tries any experiments with any other type of flammable substance to see which might last longer, how it might be fueled, or even think about carrying, what, maybe a back-up stick? The thing about humans is that they're always trying to find out "what happens IF." What happens if I combine vinegar and baking soda. What happens if I set my deodorant on fire (don't laugh; my brother actually did this). What happens if I push this big red button. Without any hint that the people of Ember were being controlled by radio waves, or drugs in their food, or hypno-dream-therapy, I find it completely unbelievable that every single one of them would have such a complete lack of curiosity or even just desperation at their existing circumstances that they don't even attempt to see, maybe, what kinds of fungus are edible, or experiment with any of the electrics while they were still in full supply to find out how they really worked. This year I rediscovered The City of Ember. Watching the movie with my siblings reminded me how much I loved the books, and I decided to start the series again. This time since I already knew the story I was free to slow down and enjoy every aspect of it. I could feel the impending doom of Ember with the rust and the mold and the damp and the blackouts. I could feel what it was like to hold your breath and count until the lights came back on with the absolute terror of not knowing where you were and what was going to happen next. I didn’t just enjoy Lina and Doon’s attempts to solve the riddle of the torn instructions, instead, I was rooting for them to find the way out. Many readers have noticed the odd references in this book about religion. Side characters are heard wondering if there is a great Being watching over them and saying maybe or maybe not. Doon also wonders where life comes from and knows it’s a power greater than the Builders. The Believers are a group of people that aren’t in the book very much but do have the most “beliefs” of anyone. They claim to have seen the Builders coming again to “show them the way” in a dream. Now of course, (view spoiler)[in the story Lina and Doon save the day and the Builders are nowhere to be seen (hide spoiler)] which is a great case for humanism, isn’t it? Except...the Builders (view spoiler)[did save them. Who wrote the instructions? Left the boats? The candles? And later in the series a few more surprises? (hide spoiler)] I think it’s positing an interaction between their own efforts and what has been provided for them. It’s really not a huge theme of the book, but I would recommend some parental guidance for younger readers who are not strong in what they believe. HEY LOOK WHO FINALLY READ THIS. xD Confession: I actually saw the movie first. But I don't remember nearly anything from the movie??? SO I THINK WE'RE GOOD. Anyways, I've been meaning to read this one for a while, and I'm super glad I finally stopped procrastinating it! This was really fun and bouncy and intriguing and I LOVED the storyline. Although it maybe felt just a little creepy for an MG book? Maybe that's just me though. It was an easy read, and fairly fast-paced. The plot was really sim HEY LOOK WHO FINALLY READ THIS. xD Confession: I actually saw the movie first. But I don't remember nearly anything from the movie??? SO I THINK WE'RE GOOD. This was really fun and bouncy and intriguing and I LOVED the storyline. Although it maybe felt just a little creepy for an MG book? Maybe that's just me though. It was an easy read, and fairly fast-paced. The plot was really simplistic and kinda predictable (to be fair, this could just be because I've seen the movie)... but somehow it still worked. Also, this was COMPLETELY CLEAN WOOT. Nothing content-wise that would make me feel uncomfortable giving this to anyone 10+. However, that being said, this had decidedly humanistic undertones. I think the author overdid it a little... she pretty much just layered her worldview on over the story. Which isn't necessarily bad, but when your worldview is humanism, then I don't agree with you. xP So I'm thinking this would be better for teens who are more discerning. I asked my best friend what kinds of books his children were reading (I'm always looking for books for my niece) and he said his oldest son had read and enjoyed the City of Ember series. So much so that he'd passed them along to his parents, who had read them and found them interesting as well. Add to it a movie coming out and I decided I would give the series a try. 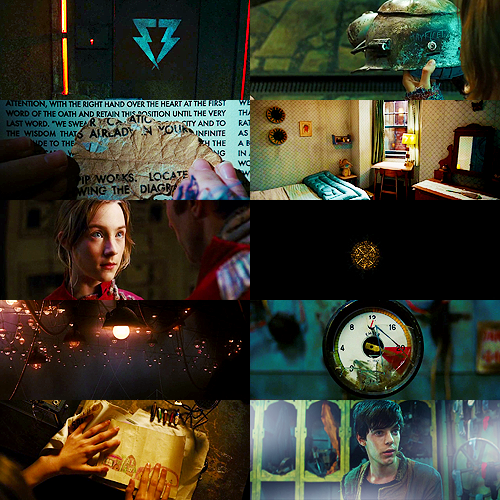 The City of Ember exists inside the darkness, where it's always night. Darkness is held at bay twelve hours a day by artifical ligh I asked my best friend what kinds of books his children were reading (I'm always looking for books for my niece) and he said his oldest son had read and enjoyed the City of Ember series. So much so that he'd passed them along to his parents, who had read them and found them interesting as well. Add to it a movie coming out and I decided I would give the series a try. 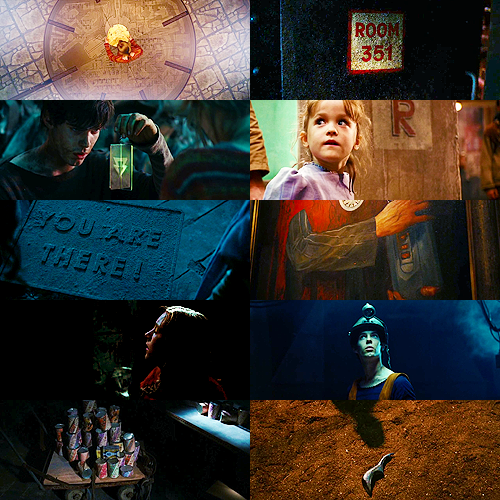 The City of Ember exists inside the darkness, where it's always night. Darkness is held at bay twelve hours a day by artifical light, though the electricity is becoming sporadic and the city is running out of replacement bulbs. Founded many years before, there was some instructions on how to leave the darkness left behind but lost by one of the city's mayors. The city is facing shortages of supplies and the residents live in a sense of paranoia that the lights will go out forver, plunging them into enternal darkness. It's a fascinating premise for a novel and one that begs a lot of questions, especially when you find certain things about Ember in the novel's final pages. The story follows two children, Doon and Lina, who have completed their schooling and have been given new jobs. Doon wants to fix the city and trades to have a job in the underside of the city, hoping to explore the mystery of Ember. Lina gets a job as a messenger and is able to run across the city, taking messages back and forth and discovering the full extend of the shortags to come. The two eventually begin to share their knowledge and piece together just what's going on in Ember. They also find a bit of the original instructions and try to fanthom what they mean (Lina's younger sibling eats part of them). Lina and Doon discover there's more going on that meets the eye. The Mayor is a corrupt individual, hoarding resources for himself and seeking to discredit or lock up anyone who discovers otherwise. Lina and Doon are soon on a path to being rebels and forced to flee into the darkness surrounding the City. I am sort of a late-comer with Young Adult novels. I blame it on my age. When I was a teenager in the 60s there was no real level between children and adult literature. Teen literature was a bit of a no man's land. I didn't realize there might actually be real literature in YA until I read the Harry Potter series. Since then, I've dabble a bit with the genre and discovered some gems: The Hunger Games series, Gaiman's The Graveyard Book, and Dan Wells' John Wayne Cleaver series. Of course there a I am sort of a late-comer with Young Adult novels. I blame it on my age. When I was a teenager in the 60s there was no real level between children and adult literature. Teen literature was a bit of a no man's land. I didn't realize there might actually be real literature in YA until I read the Harry Potter series. Since then, I've dabble a bit with the genre and discovered some gems: The Hunger Games series, Gaiman's The Graveyard Book, and Dan Wells' John Wayne Cleaver series. Of course there are plenty of duds too (Hello, Twilight!). Yet I am more willing to explore in this field than I was before. The City of Ember is an engaging children's fiction novel that introduces young readers to courageous characters who take steps to make change happen. The author Jeanne DuPrau writes age-appropriate fantasy/dystopia with mystery, action, adventure, and an exciting cliffhanger that keeps kids interested in the series. My son absolutely LOVES this book! Loves it so much he doesn't want to watch the film adaption for fear of ruining his reading experience (he has learned this lesson early in life L The City of Ember is an engaging children's fiction novel that introduces young readers to courageous characters who take steps to make change happen. The author Jeanne DuPrau writes age-appropriate fantasy/dystopia with mystery, action, adventure, and an exciting cliffhanger that keeps kids interested in the series. My son absolutely LOVES this book! Loves it so much he doesn't want to watch the film adaption for fear of ruining his reading experience (he has learned this lesson early in life LOL). As soon as he finished reading his library copy, he took his allowance money to buy the book so he can own it (I'm SOOOOO proud!). I read this book along with him and I have to say it was pretty good! If you have a young person in your care that needs some reading recommendations, offer this title for them to consider! It is the first of four books so it should keep readers busy for a while. What do you do when your fifth grader tells you he's reading the greatest book ever and he wants you to try it? You do whatever it takes to find that book and you read it with him. Enthusiasm is contagious...and supporting a child's love for reading is priceless. I loved it! I remember seeing the film years ago and enjoying it so much. On a whim I decided to read the book and I was fascinated by it! What I savoured most of all was the mood and tone of the book. There's this feeling of doom, claustrophobia and being smothered that permeates everything and it made the book so exciting. The City of Ember, made by the Builders two and a half centuries ago, is slowly but surely declining. The supplies are running out and the generator powered by the river that flows under the city which in turn powers the whole city is failing. The people feel trapped but have nowhere to go. Two 12 year olds, Lina Mayfleet and Doon Harrow, find a clue left by the Builders and slowly unravel the mystery that may possibly lead to an escape from the dying city. I wish I had read this book some time before. Lina and Doon are intelligent and curious, which makes the story interesting. The letter in the end of this book was thrilling to read. This juvenile allegory reminded me greatly of The Giver. Just as at the start of The Giver, the young people of the community of Ember receive their future work assignments, a device which quickly pulls the young reader into the story. Now almost adults, Lina and Doon are able to view their community with fresh eyes, and discover that the generator, the source of electric power on which the town depends, is soon to be exhausted. This will plunge the city into complete darkness. The children disc This juvenile allegory reminded me greatly of The Giver. Just as at the start of The Giver, the young people of the community of Ember receive their future work assignments, a device which quickly pulls the young reader into the story. Now almost adults, Lina and Doon are able to view their community with fresh eyes, and discover that the generator, the source of electric power on which the town depends, is soon to be exhausted. This will plunge the city into complete darkness. The children discover a secret coded message, leading to a possible escape for the dying town. The heart of the allegory is in the different responses by various citizens to their town's problem: those who deny the problem, those who wait blindly for rescue, those who selfishly hoard as many goods for themselves as they can. It is easy to make application to various groups in our own society. Lina and Doon are among the few who actively search for a positive solution. Even within their own hearts they struggle with conflicts of fear and pride, which might have hindered the saving of the city. Solo verso la fine si scopre che la protagonista ha 12 anni. Yeeeeeeh. In effetti, è scritto un po' troppo semplicemente. This book is honestly fairly meh. The action is slightly lukewarm; in fact, nothing much happens for ages. The characters are nothing special. Lila and Doon are both flat as can be. In general, the book is just fairly meh. That being said, there's something fairly entertaining about this book. It's got that sweet emotional realness of so many middle grade books. I wouldn't read this as an adult, but for middle grade readers, this is definitely a solid read. I'm currently reading this book, I was at the library and just picked it up not really knowing what it was about. Anyway, as soon as I started reading it I couldn't stop. It's one of those books that you cant put down. Infact I have been late for school a few days because I stay up so late reading it. It's not a very large book. But the story is incredible! From what i've read so far it is about a girl who lives in a strange city called Ember, where there is no such thing as the sun. The whole cit I'm currently reading this book, I was at the library and just picked it up not really knowing what it was about. Anyway, as soon as I started reading it I couldn't stop. It's one of those books that you cant put down. Infact I have been late for school a few days because I stay up so late reading it. My first dystopian novel. It has great character-building, interesting story, and also the concept of Ember itself is intriguing. Note; one star off for being slow at times that I find myself struggling to finish it. Would recommend to people who love a good YA dystopian novel without any insta-love thrown in. There are some books which, when you read them, hold you in a spell with their unique charm and voice. This was one of those children's books, read at a time in which I devoured everything considered suitable reading. I've never read the sequels however as the way in which this book ended was left open to my imagination and to continue in such a way would ruin the magic of this novel. Recommended out of that nostalgic time known as childhood. Been wanting to read this for a long time. I saved the movie in my DVR forever because I prefer to read the book first. Enjoyed it but it ends pretty open so I'll definitely need to continue with the series. I suppose The City of Ember would be a good choice for children (9-13 years old) and if I was younger I would appreciate it much more. However, I did like that I could rest from a romance for a while. It's tiresome and sticky to see it in almost every new YA book. I read this with grade six. They enjoyed it more than I did. But it was still good. I enjoyed this book, though it did have some bothersome bits (don’t they all?). It was very predictable, but that didn’t really take away from the enjoyment of the story (except when I got annoyed with the characters for being about 5 steps behind me, but then I’m not the target audience). We are expected to accept some things without questioning, and certain events that should be dealt with on a deeper level are just brushed over. For instance, Lina’s grandmother dies, and she hardly seems to n I enjoyed this book, though it did have some bothersome bits (don’t they all?). It was very predictable, but that didn’t really take away from the enjoyment of the story (except when I got annoyed with the characters for being about 5 steps behind me, but then I’m not the target audience). We are expected to accept some things without questioning, and certain events that should be dealt with on a deeper level are just brushed over. For instance, Lina’s grandmother dies, and she hardly seems to notice. Some things about the writing annoyed me, but I cannot recall the specifics now. Otherwise, I enjoyed the story. It flowed well. It’s an interesting concept. It’s disconcerting reading about a civilization that expects the world to be pitch black. I was a bit nervous for them the whole time, as I am not really a fan of the dark, and I can imagine the fear and chaos bubbling under the surface when your whole existence is about to be snuffed out once the electricity and supplies run out. This gives her courage, because she finds writing very hard. So many words to choose from! So many different things that could happen in a story at any moment! Writing is one tough de Jeanne DuPrau spends several hours of every day at her computer, thinking up sentences. She has this quote taped to her wall: "A writer is someone for whom writing is harder than it is for other people" (Thomas Mann). But it's also the most satisfying thing she knows how to do. So she keeps doing it. So far, she has written four novels, six books of nonfiction, and quite a few essays and stories.